Here's What You Missed At L'Etrange 2018! 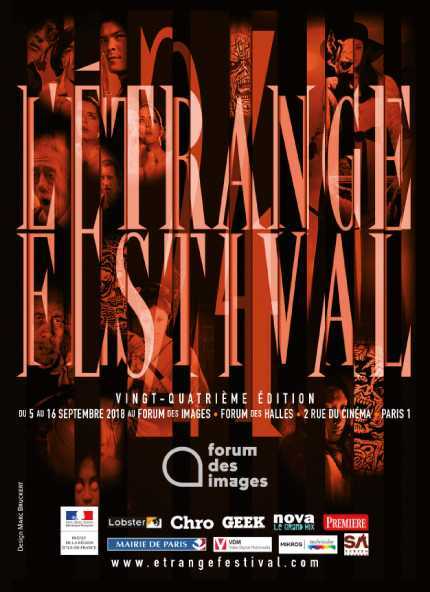 The 2018 edition of the L'Etrange Festival in Paris has come to and end and if you missed it, well ... you missed a lot. As a bit of a wrap up the organizers have shared the video below featuring an array of guests including (deep breath) Gaspar Noé (Climax), John McPhail (Anna and the Apocalypse), Tilman Singer (Luz), Zhou Shengwei (S He), Bruno Dumont (Quinquin and the Extra-Humans), Justin McConnell (Lifechanger), Kevin Chicken (Perfect Skin), Lou Castel (I Feel Good), Anthony Hickling (Frig), Dennison Ramalho (The Nightshifter), Paulo Beto (Anvil FX). And many, many more. Take a look below!